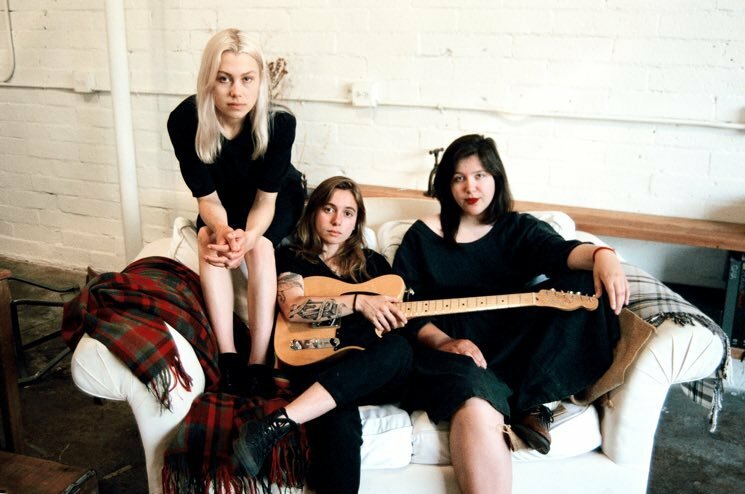 Three of indie rock's most exciting songwriters have teamed up to form a supergroup called boygenius. Julien Baker, Phoebe Bridgers and Lucy Dacus will release their debut self-titled EP under that moniker on November 9 via Matador. The band formed after the trio booked a tour together, becoming fast friends and opting to record a 7-inch for the tour. But when they got in the studio together, they ended up with much more material. "When we met, Lucy and Phoebe and I were in similar places in our lives and our musical endeavours, but also had similar attitudes toward music that engendered an immediate affinity," Baker said in a statement. "Lucy and Phoebe are incredibly gifted performers, and I am a fan of their art outside of being their friends, but they are also both very wise, discerning and kind people whom I look up to in character as much as in talent." Dacus added, "A long time ago, before I even met Phoebe, Julien mentioned that she had a pipe dream of starting a band with both of us." Bridgers continued, "When we got together, we had way more songs than we expected and worked so well together, that we decided to make a full EP." That EP was recorded in Los Angeles in June of this year, and now the band have unveiled three of the six songs. See the full tracklisting below, and listen to "Stay Down," "Bite the Hand" and "Me & My Dog" below. The trio will also be taking the new tracks out on tour together this fall, including a stops in Toronto on November 10 and Vancouver on November 23. See the full list of dates below.